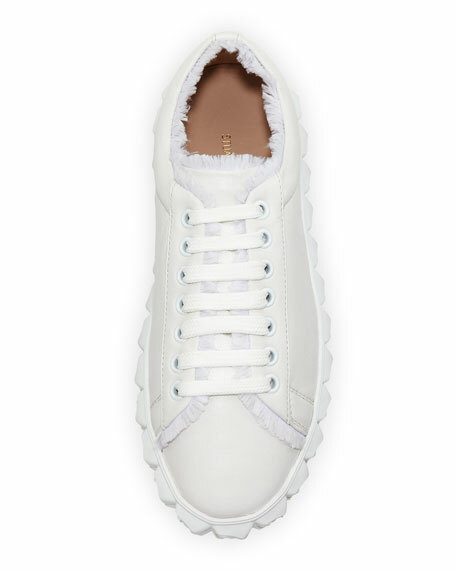 Stuart Weitzman low-top sneaker in nubuck leather with satin fringe trim. Vulcanized rubber midsole with rosette-shaped studs. "Fringiecoverstory" is made in Spain. For in-store inquiries, use sku #2506791.